Ran into these two wonderful videos about how Miyazaki approaches his work. I don’t have much to add. I’ve put a bunch of Ghibli stuff up on this blog and I will be putting up more, I suspect. 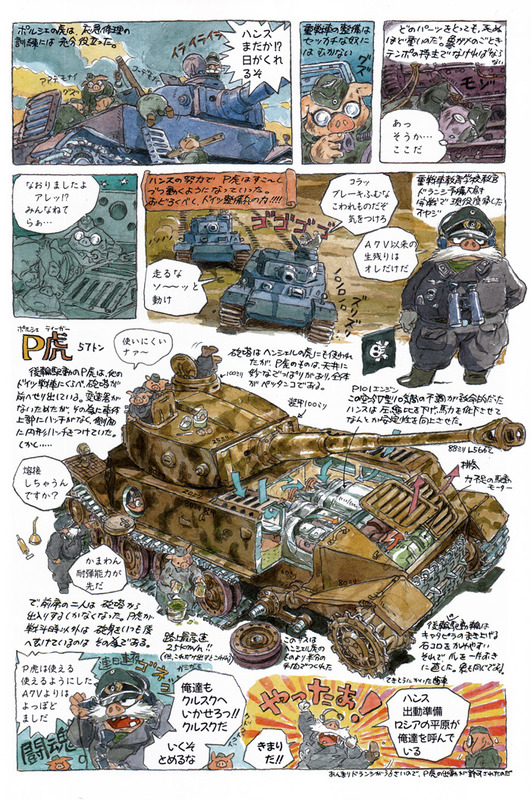 You can read about how Miyazaki creates in his two memoir volumes, Starting Point. As wonderful as Miyazaki’s films are, they don’t actually represent the full scope of his story telling. The videos barely mention Miyazaki’s manga, you can’t ignore it and understand where the themes for a lot of the movie stuff comes from. Miyazaki was drawing anthromorphic pigs long before Porco Rosso. Of course the manga and films are not the only homes for Miyazaki’s pigs. They can also be found somewhere in the Ghibli Museum, looking strangely like Miyazaki himself. But I’m not going to say where in the museum the tableau is. You will just have to find it for yourself. But plan your trip carefully this year as the museum is closing from May 9 to July 15 this year for maintenance.